Driver Reactions to Automated Vehicles focuses on the design and evaluation of the handover to and from driver and the automobile. The authors present evidence from studies in driving simulators and on the open roads to show that handover times are much longer than anticipated by previous research. 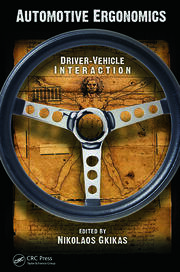 In the course of the studies, Eriksson and Stanton develop compelling evidence to support the use of driving simulators for the study of handovers. They also develop guidelines for the design of handover strategies and show how this improves driver takeover of vehicle control. Introduction. The Chatty Co-Driver: A Linguistics Approach Applying Lessons Learnt from Aviation Incidents. A toolbox for automated driving. Take-over time in highly automated vehicles. Contrasting simulated with on-road transition of control. After-effects of driver-paced transitions of control. 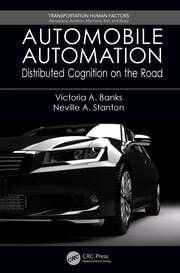 Augmented reality guidance for control transitions in automated driving. Conclusion. 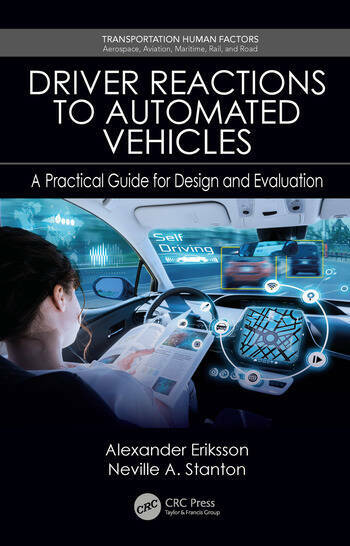 Dr. Alexander Eriksson, PhD, is a researcher at The Swedish National Road and Transport Research Institute (VTI) in Gothenburg, Sweden. He has a MSc and a BSc in Cognitive Science from Linköping University, Sweden and received his PhD degree within the Marie Curie ITN HF-Auto from the Faculty of Engineering and the Environment at the University of Southampton, where he is currently a visiting Research Fellow. During his PhD he was seconded to Jaguar Land Rover ltd. and the Technical University Munich (TUM). He was also tasked with running the Southampton University Driving Simulator lab facility during his PhD research. Alexanders’ research interests lies within traffic safety, human performance, vehicle automation and how interaction between humans and technical systems may be facilitated. Professor Neville Stanton, PhD, DSc, is a Chartered Psychologist, Chartered Ergonomist and Chartered Engineer. He holds the Chair in Human Factors Engineering in the Faculty of Engineering and the Environment at the University of Southampton in the UK. He has degrees in Occupational Psychology, Applied Psychology and Human Factors Engineering and has worked at the Universities of Aston, Brunel, Cornell and MIT. His research interests include modelling, predicting, analysing and evaluating human performance in systems as well as designing the interfaces and interaction between humans and technology. Professor Stanton has worked on design of automobiles, aircraft, ships and control rooms over the past 30 years, on a variety of automation projects. 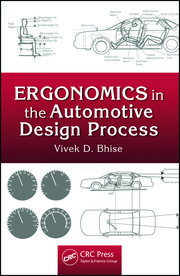 He has published 40 books and over 300 journal papers on Ergonomics and Human Factors. In 1998 he was presented with the Institution of Electrical Engineers Divisional Premium Award for research into System Safety. The Institute of Ergonomics and Human Factors in the UK awarded him The Otto Edholm Medal in 2001, The President’s Medal in 2008 and The Sir Frederic Bartlett Medal in 2012 for his contributions to basic and applied ergonomics research. The Royal Aeronautical Society awarded him and his colleagues the Hodgson Prize in 2006 for research on design-induced, flight-deck, error published in The Aeronautical Journal. The University of Southampton has awarded him a Doctor of Science in 2014 for his sustained contribution to the development and validation of Human Factors methods.